Sydney Cooper is the Editor-in-Chief for the Hilltopper Newspaper at Highlands High School. 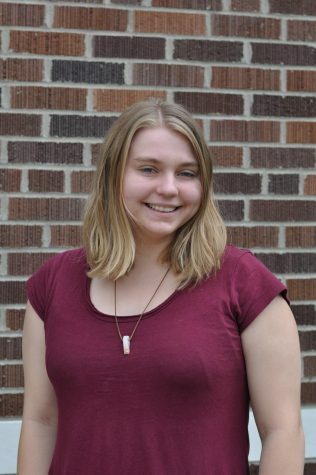 Sydney is very excited to be a fourth-year journalism student and cannot wait to see what politically motivated and enticing stories they will write, but no one will read. Besides writing, their joys are singing, acting, their puppy Dexter, buying overly expensive makeup, spraying too much body mist on themselves, and hoarding old hotel cards that do not work anymore in their wallet. In addition to being the Editor-in-Chief, they are also the founder of the Student Activist Union, a part of the Drama Club, a member of the Cincinnati Children’s Choir, a groupie for Weasel Priest, and the assistant Kingpin to the Czar of the Slang Gang. They hope that you are satisfied with the quality and content of the online newspaper.